“Costing under $100, this affordable model still delivers a deep clean." “Produces a deeper clean with shorter dry times." “Offers superior performance and is well-designed with functional features." If you’re looking for a capable carpet cleaner packed with power and value, then the Hoover Power Scrub Deluxe Carpet Washer is a great choice. This full-size carpet cleaner works well on stains new and old and is easy enough to pull out for quick jobs or deep clean sessions. Weighing in at 18 pounds, this isn’t the lightest carpet cleaner on the market, but you can still transport it from room to room. The Hoover Power Scrub Deluxe has unique spinning brushes that offer excellent agitation to pick up embedded dirt and debris. In addition, some users point out that the action of the brush heads seems to fluff fibers, giving new life to old carpet. Another standout feature is that it utilizes separate clean and dirty water tanks. This is a plus when buying a carpet cleaner because it makes the tanks easier to fill and also allows you to keep an eye on how much dirty water you’re extracting from the carpet as you go. Finally, an onboard water heater helps to maintain water temperature and provides extra cleaning power when treating tough stains. The heated water also assists in drying carpets faster. There have been some recurring issues with long-term durability, but good maintenance can help to prolong the life of any machine. All things considered, most people are enthusiastic about the Hoover Power Scrub Deluxe Carpet Washer and love the results. If you're looking to stock up on cleaning solution, here are the best carpet shampoos. Give your carpets a thorough clean while saving some green with a budget-friendly model, like the Hoover PowerDash Carpet Cleaner. Costing under $100, this affordable model skips the frills and fancy features but still delivers a deep clean for your carpet fibers. The Hoover PowerDash Carpet Cleaner includes must-have items like separate clean and dirty water tanks, a removable nozzle to clean the machine after use, and HeatForce technology to reduce carpet drying times. This carpet cleaner weighs less than 13 pounds and also has a lower profile cleaning head than some other machines—making it easier to reach under furniture. However, there a few common complaints with this budget model. The water tanks are only .5-gallon each, while many others are 1.5 gallons or more. The cleaning path is also relatively narrow at just ten inches, requiring more passes to cover a room. As a result, your carpet cleaning sessions may involve more frequent refills and longer cleaning times. The manufacturer describes this budget carpet cleaner as being best suited for small spaces and high traffic areas, and user experience tends to agree that this is what the machine is best suited for. Even still, many users find the Hoover PowerDash’s performance and cleaning abilities to be excellent—so they don’t mind making the extra effort to empty the water tank more often or make multiple passes to cover large areas of carpet. If you have a limited budget for a carpet cleaner and don’t mind a little extra leg work, then opt for the slim but capable Hoover PowerDash Carpet. For cleaning hardwood floors or other surfaces at home, make sure that you're using a safe product that won't damage the finish. Check out our guide to the best floor cleaners. If you have a pet and frequently find yourself reaching for a carpet cleaner, this lightweight but capable model from Bissell will quickly become your go-to home cleaning tool. The Bissell TurboClean Pet Carpet Cleaner weighs only 12 pounds, making it one of the lightest full-size carpet cleaners on our list. This is one of the top reasons people love this carpet cleaner since larger models can weigh nearly 20 pounds or more. The weight of this model makes it easy to get in and out of storage or carry up the stairs without a struggle—you’ll be ready whenever and where ever a pet mess happens. The design also features a retractable handle for storing in tight spots. People that have used this carpet cleaner for pets say it works great and the design is well thought out. For example, it has a removable front nozzle that is easy to clean between stain sessions. And while the separate clean and dirty water tanks are small—only a .5 gallon each—reviewers point out that it’s not a big deal to refill them since they’re easy to remove and tote around. Whether you have a pet or not, this is a great budget carpet cleaner. The 9.5-inch cleaning path may not be ideal for cleaning large areas at once, but it's good for small spaces or frequent pet messes. You should also know that this pet carpet cleaner doesn’t have an onboard water heater since many sources say that heat sets pet odors rather than removing them. Does your couch need a good clean, too? Take a peek at some of the best upholstery cleaners you can buy. 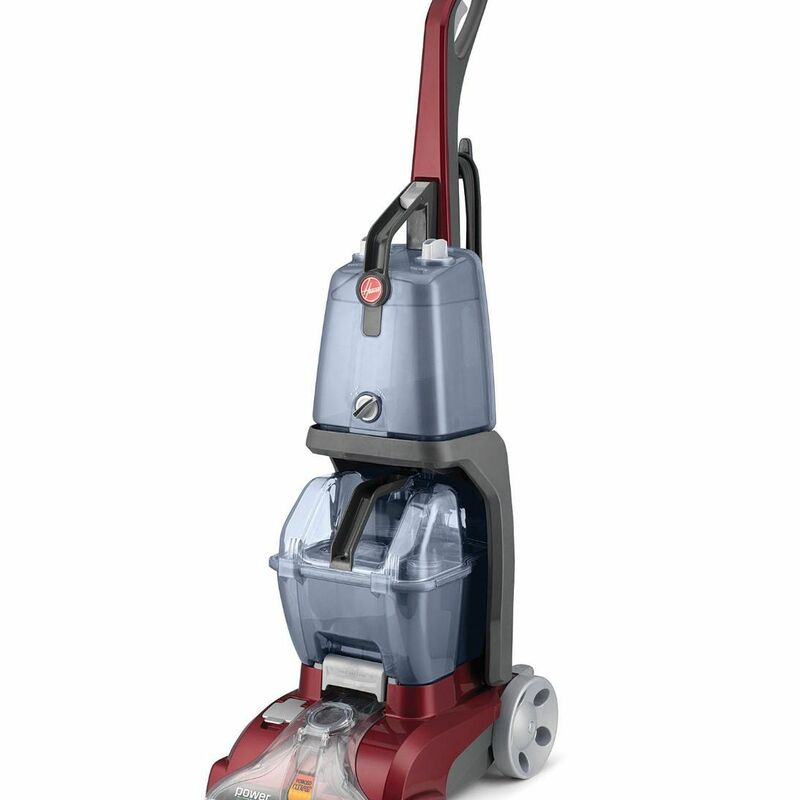 If you’re looking to tackle tough stains and soiling or deep clean your carpets with the power of steam, then check out the Bissell ProHeat 2x Revolution Carpet Cleaner. This full-size carpet cleaner offers efficiency and power with an 11-inch cleaning path, a 1-gallon water tank, and HeatWave technology. While carpet cleaners are not the same as steam machines, combining heat with the power of a carpet cleaner produces a deeper clean with shorter dry times. While primarily marketed as a pet carpet cleaner, plenty of pet-free households say the Bissell ProHeat 2x Revolution is their go-to carpet cleaning machines due to its powerful features. For example, it offers both an ‘Express Clean Mode’ and a ‘Deep Clean Mode.’ The shorter express option will have your carpets dry in about an hour, while the deeper cleaning session is said to outperform even commercial carpet cleaning machines. If you have stubborn stains, you’ll appreciate the CleanShot Pretreater function which will send a concentrated stream of formula to loosen tough stains. A big benefit to this carpet cleaner is how easy it is to disassemble and clean its parts and pieces—including the water tank. Other models make it tough to give these components a thorough cleaning, which might compromise the machine over time. If you’re looking at a carpet cleaner for your car, the Bissell Little Green Portable Carpet Cleaner is a handy tool. This compact carpet cleaner can bring the deep clean you need to your car’s carpet and upholstery. People find that the Bissell Little Green is simple to use and works efficiently. It has a 48-ounce tank capacity, which is adequate for smaller jobs like cleaning the interior of your automobile. It also includes a 3-inch stain tool for extra agitation where you may need it most—like upholstered seats or set-in carpet stains. There isn’t a heat setting for extra deep cleaning action, and it is loud for its small size, but it still offers a powerful clean. According to customers, you should empty the machine after each use and rinse it clean for the best results. Some people complain that the holes in the nozzle head become clogged over time. So aside from regular rinsing, this part may need an occasional soak in dish soap to loosen grit and grime. By taking these simple steps to help maintain the Little Green, many people enjoy years of use from this portable carpet cleaner. Rug Doctor is a popular name in carpet cleaning and this model for household use will give you a deep clean that is on par with the professional carpet cleaners you might call in for special or heavy-duty projects. But instead of renting a machine or having an outside service come into your home, the Rug Doctor Deep Carpet Cleaner comes out of your closet to reach into small crevices and between carpet fibers to find every trace of dust and dirt. This professional carpet cleaner has received gold certification from The Carpet and Rug Institute, which tests the efficiency of carpet-specific cleaning products. The Rug Doctor Deep Carpet Cleaner is equipped with an extra wide 12-inch cleaning head paired with 10 rows of brush bristles to scrub carpet fibers from multiple angles. A handheld attachment with a 7.7-foot hose lets you put the suction power to work on upholstery, stairs, and more. Additionally, a Super Boost setting sprays extra solution behind the machine to clean heavily soiled areas on the return pass as you pull the machine back towards you. If you’re familiar with the Rug Doctor rental machines, you’ll appreciate having this well-equipped tool in your home to clean carpets at a moment’s notice. Realize that this is a powerful carpet cleaner, but not a commercial machine. As a result, don’t be surprised to see plenty of plastic parts and pieces. This is to be expected for the mid-range price point and shouldn’t pose much of an issue in average residential use. Some people found the dirty waste water tank challenging to empty without spilling it, and others complained that the clear plastic front of the machine—which comes in contact with dirt and soapy water—is tough to clean since it’s not removable. Still, these minor inconveniences don’t take away from the major cleaning power of the Rug Doctor Deep Carpet Cleaner. 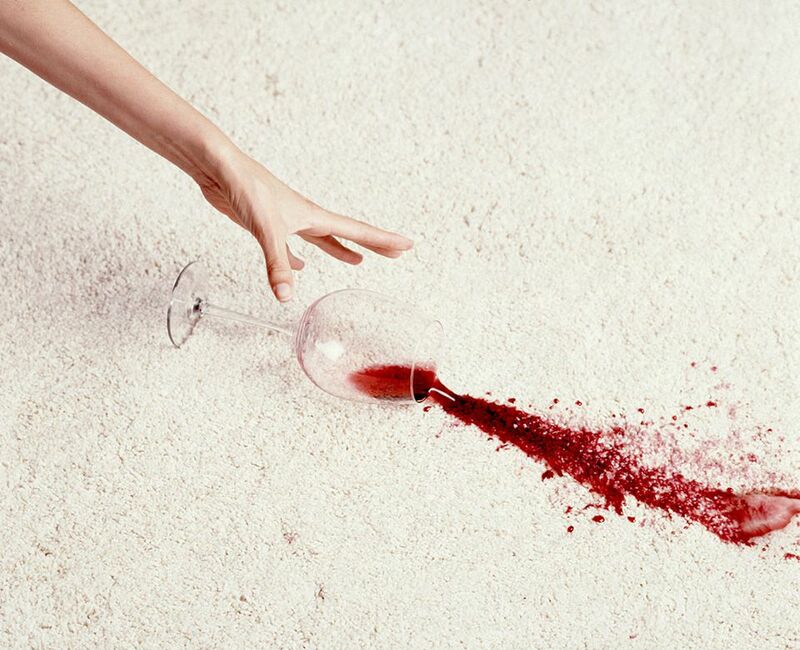 For smaller messes at home, check out our list of the best carpet stain removers. If you want a carpet cleaner that is a cinch to operate, then look no further than the Hoover Smartwash Automatic Carpet Cleaner. This easy to use carpet cleaner takes the guesswork out of carpet cleaning and puts the power to clean in the palm of your hand. One of the best features about this simple carpet cleaner is the fact that there’s no measuring or mixing of the solution. Instead, just pour the cleaning solution into its designated 20-ounce tank, then fill the 1-gallon water tank. The machine automatically mixes the solution as you operate it, saving you time and guesswork. Then, the automatic cleaning mode keeps the machine switching between washing and drying mode, without needing to squeeze a trigger as you work. Push the carpet cleaner forward and it washes the fibers underneath, then pull it back toward you to dry. A rinse-only mode makes it easy to remove all soap and grime from carpets—just make sure that you remove the solution dispenser to avoid wasting it when using this function. Some people complain that the tank leaks water, but others warn that you must properly seat the water tank into the machine to avoid this problem. The heated auto-dry mode is another great feature. With this function, people have dried their carpeted areas in as little as an hour. It doesn’t get much simpler than the Hoover Smartwash Carpet Cleaner, making it our top pick for a carpet cleaner that is easy to operate. Even portable carpet cleaners can pack a punch, like the robust Bissell SpotClean Portable Carpet Cleaner. This small but mighty carpet cleaner cleans in a superior way according to most users and includes the features you need to keep rugs, carpets, stairs, auto upholstery, and more in top condition. The Bissell SpotClean Portable Carpet Cleaner is well-equipped with a .75-gallon tank, which is a generous capacity for the size of the machine. Even some full-size carpet cleaners only offer a .5-gallon water tank. It includes a 5-foot hose with 6-inch hand tool for cleaning stairs or upholstery, along with a 3-inch tool for agitating tougher stains. Unlike spot-specific carpet cleaners that will leave a clean but conspicuous circle, this handheld carpet cleaner requires a little elbow grease to move the attachment across an area—but it will leave you with a superior clean. This portable carpet cleaner doesn’t offer an option for heated water, but the results are so good that most people don’t even seem to notice or care. If this machine has a weakness, it’s the hose that connects to the nozzle head. A considerable number of users have had the lifespan of this portable carpet cleaner cut short because cracks developed in the hose near the nozzle head. One person points out that the best way to prevent this unfortunate calamity is to avoid putting the nozzle in the holder since the positioning places a lot of strain on the hose and causes it to eventually break. If you can live without wrapping the hose and securing the nozzle, then you’ll get more life out of this machine and enjoy the power of this portable carpet cleaner. For the ultimate carpet cleaning machine, reviewers agree—the Bissell Big Green Professional Carpet Cleaner is the one to choose. This splurge-worthy carpet cleaner offers superior performance and is well-designed with functional features that will have your carpets looking (nearly) new again. The Bissell Big Green Carpet Cleaner is unique because it cleans in both directions, unlike some other rug cleaning machines which only do their work when you pull back. Using the Big Green makes it faster and easier to more thoroughly clean a room, since both the push and pull action result in cleaning action. Several people purchased this model after renting one in stores and being happy with its performance, or after being fed up with a subpar carpet cleaner that couldn’t get the job done. In fact, this model is often compared to other brands of rug cleaners and consistently seems to outperform according to user reports and photo evidence. However, this model is very pricey in comparison to other carpet cleaners, but it does come with a 5-year warranty, which helps to offset the sting of the price tag. If you splurge for the Bissell Big Green Carpet Cleaner, you’ll be happy with the extra features, like the separate clean and dirty water tanks and the 6-inch stain removal tool that’s perfect for stairs. You won’t find an onboard water heater, but no one seems to miss the feature and it doesn’t make this splurge-worthy carpet cleaner any less of a cleaning powerhouse. Our reviewers spent 27 hours testing one of the most popular carpet cleaners on the market. To ensure the most thorough feedback possible, we asked our testers to consider the most important features when using this carpet cleaner — from its performance to its size and weight — and we've outlined them here so that you, too, know what to look for when shopping. Spot vs. whole carpet A whole carpet cleaner is best for a busy home — they’re more powerful but are heavy and can be hard to maneuver. For smaller or less trafficked homes, a spot cleaner is enough, because they’re lightweight and easy to operate even if you have physical limitations. Pets Pet owners should always buy a carpet cleaner, particularly if their cat or dog sheds excessively. Many models often contain removable baskets that collect pet hair so the machine won’t clog. Tank A large tank requires less frequent attention but can make the carpet cleaner unnecessarily heavy and hard to maneuver. Some carpet cleaners offer dual tanks — many find this more convenient since dirty water needs to be emptied more frequently than cleaning solution needs to be replaced. Our testers were overwhelmingly satisfied with this carpet cleaner. One reviewer said her carpet looked noticeably cleaner after only one use: “I could see how dirty the water was, which was shocking,” she said, “but after the carpet dried you could definitely see it was much cleaner.” The cleaner’s hose and upholstery tool also worked very well, with one tester reporting that it made a “very visible” difference in the upholstery on her couch.